Kitchen Water Filters There are 7 products. 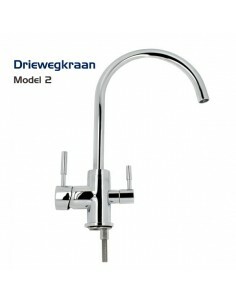 Enjoy great tasting water straight from your kitchen tap. Pure water for a perfect cup of tea. 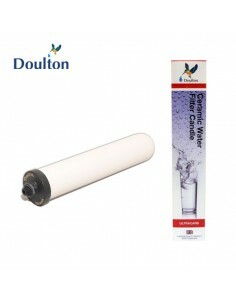 With a Doulton drinking water filter, you can purify your tap water. 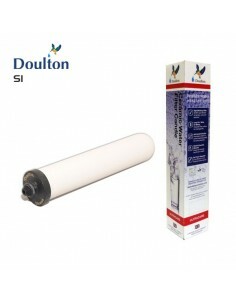 The Doulton filters can remove chlorine, chemicals, limescale and even bacteria. Your tap water will be pure and clean and you will notice the difference when drinking coffee or tea, or when you are cooking. More Info Quick view More Info More Info Sold out! This product is no longer available. 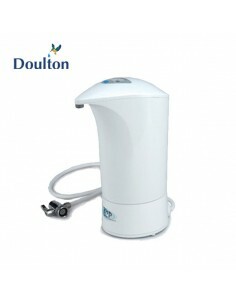 Countertop drinking water filter with LCD display. 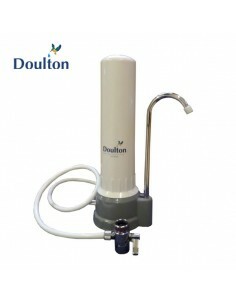 The Doulton ICP connects easily to your kitchen tap. Professional quality undersink water filter. Doulton HIS made of Stainless Steel. 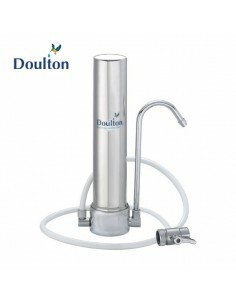 The Doulton Filtadapt is a contemporary counter top drinking water filter system with a 360 degree swivel spout. 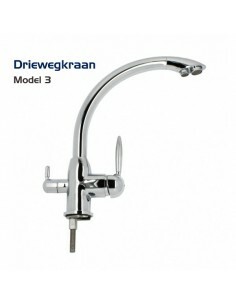 This system requires minimal counter space and is connected to your faucet via a diverter valve. 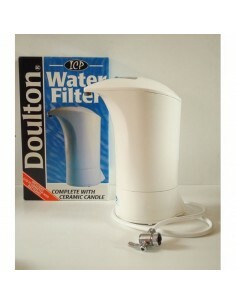 The Filtadapt accepts 10" Doulton ceramic filter candles. 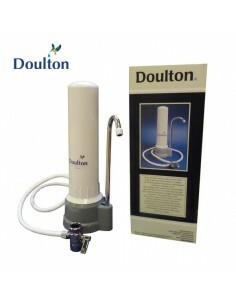 The Doulton HCP drinking water filter can be easily connected to your kitchen tap. The filter housing is light-weight and compact and can therefore be easily brought with you during your travels.